On Monday March 19th just before 6:00p.m. 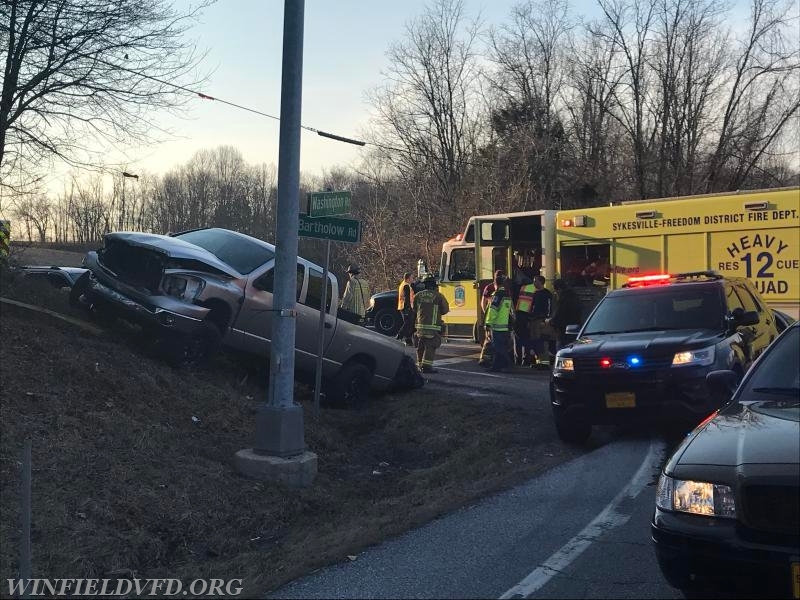 units from Winfield, Sykesville, and Gamber were alerted for a vehicle collision on Route 97 at the intersection of Barthalow Road with reported two people trapped. 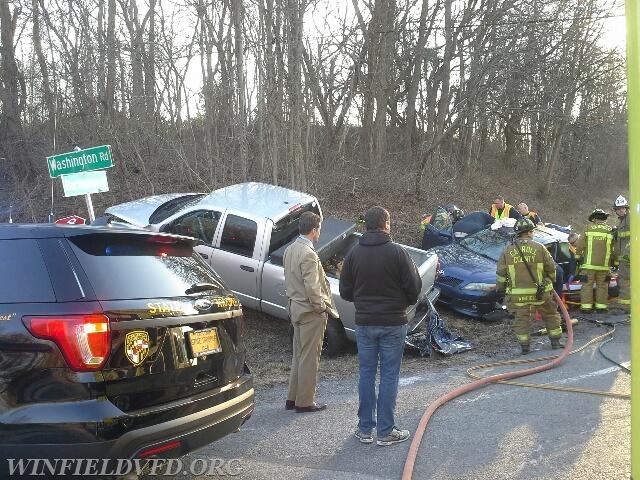 Medic 149 arrived and confirmed two people were trapped in a four door sedan. 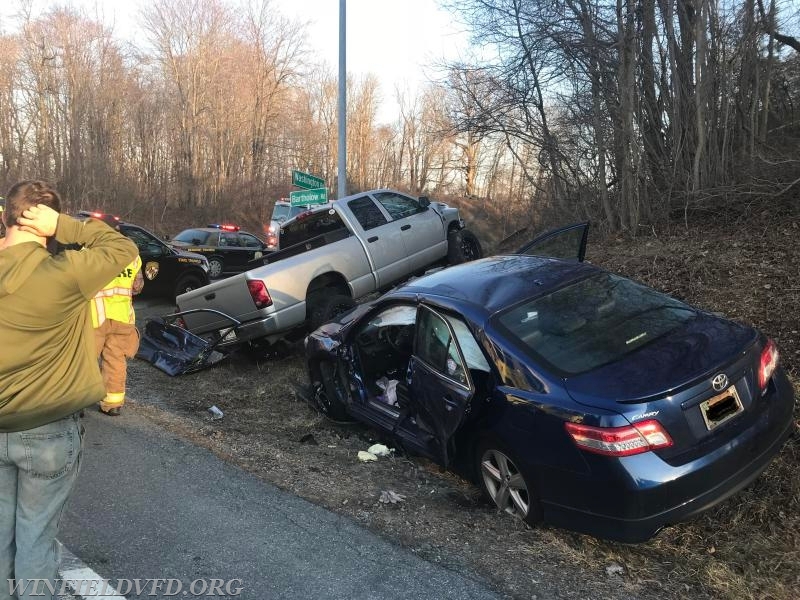 Rescue Squad 12 arrived and Chief 12 (E. Ruch Jr.) established command while the crew worked to remove the doors to extricate the patients. Engine 141 assisted with patient care and pulled a hose-line for safety. 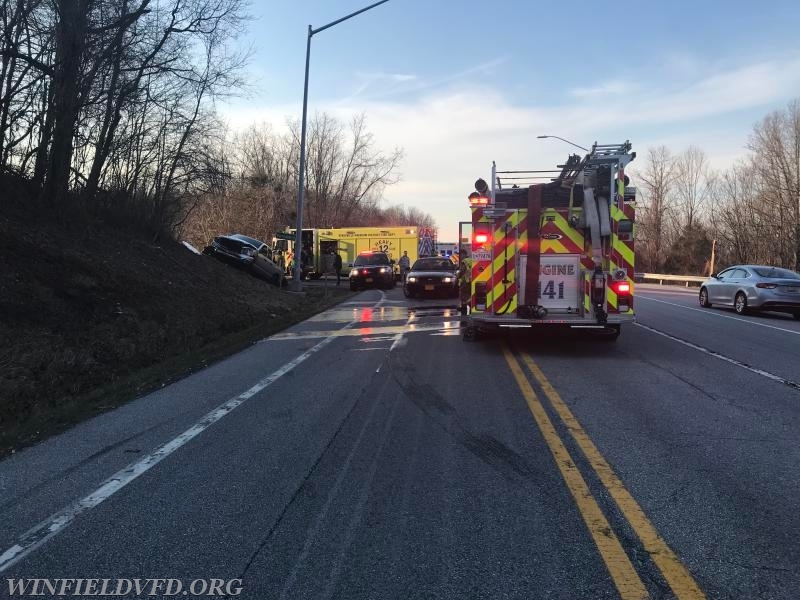 Medic 149 & Medic 129 transported both patients by ground to Shock Trauma with non-life-threatening injuries.